With drains, it does not matter whether it carries water or sewage. Every time it blocks up, you have the same urgency to have fixed. In fact, no one ever really wants to have a blocked drain. Yet, the situation is almost inescapable. You can do your best to keep your pipes clean and debris-free but at some point, something usually comes up. You never know when you will find yourself with blocked drains Ledbury which is why it is always a good idea to have the contacts of a reputable drains unblocking Ledbury company that not only understands the urgency of the situation but one that sympathizes with the situation and works to get your life back to normal as fast as possible. Is the blockage in your home? Or perhaps in the office? It does not matter where it is. Our fast and reliable crew will be there in no time. We understand that the plumbing in domestic and commercial buildings are different and there is no one better than us to have the situation rectified for you in no time. Our tight knit and highly skilled team comprises of professional and very friendly individuals that work with the least possible disturbance and with diligence. With their extreme training and experience allows them to find any blockage and work on it in a jiffy allowing the business space to return to normalcy in the fastest time possible. Genesis drainage has also invested heavily in drains unblocking Ledbury technology that makes it easier for them to pinpoint the blockages and allows you to have a fully functioning plumbing system back in no time. You need not keep suffering with a blocked drain. Our in-house team of highly skilled and experience experts are able to handle any blocked drains with ease and finesse. 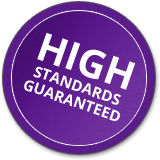 They also do their best to keep the standards that we promise to our clients. With up to 40 years of experience, there is no blocked drain that we have not handled. Our diverse experience in Ledbury and surrounding areas like Easton and Bosbury makes us one of the best there is in the industry and also makes it superbly easy for us to work on drains unblocking Ledbury. Experience – Our greatest asset is the many years that we have been working in the industry. Blocked drains are and have been our business for the past 40 years. Over the years, we have figured out the best methods and processes to unblock drains both big and small. Professional – We understand that our clients are in distress and our team endeavours to treat the clients and the situation in the best and most professional way possible. We have a high code of conduct and business that we adhere to and expect our clients to have an outstanding experience when working with us. Affordable – There are plenty of companies that will charge you extra for work that is not needed and others are not diligent in their billing but we always endeavour to ensure that our clients pay for only what is necessary and at the best rates possible. Round the clock – It does not matter the time of day or night that you need our help. We will be there without question. Our teams are always on standby and ready to attend to you in fast and effective manner.